In this video, I’m working on weapons manipulation in and around vehicles. For the things I do in private security on a daily basis, I am very frequently in and around vehicles with VIPs and clients. 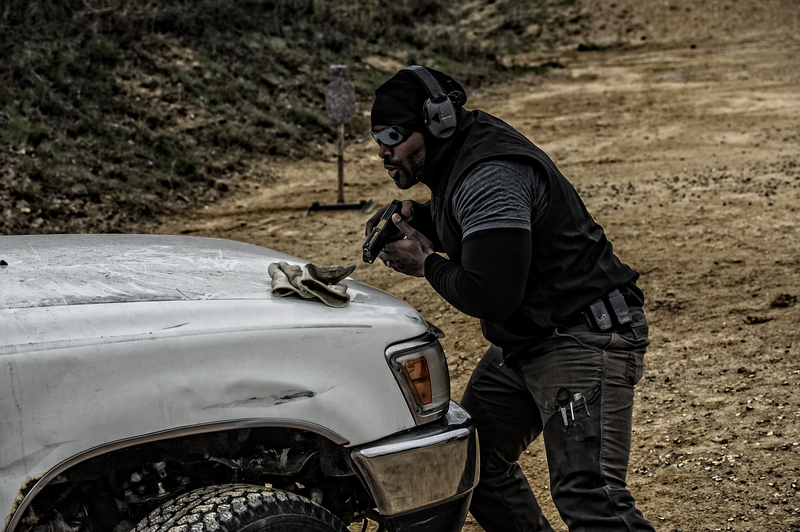 Naturally, in a combat engagement my vehicle would be my primary weapon of choice, however, the situation dictates tactics in the real world and in my opinion. Therefore I aim to train myself at many points and in as many areas as possible which is the reason for running these types of drills and going to these types of schools. 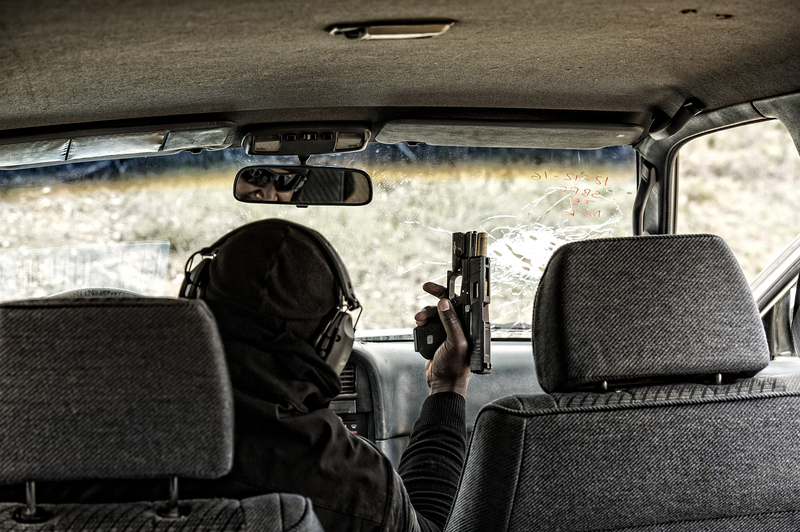 Unfortunately, there are a number of myths about gun fighting and the use of a vehicle as cover. 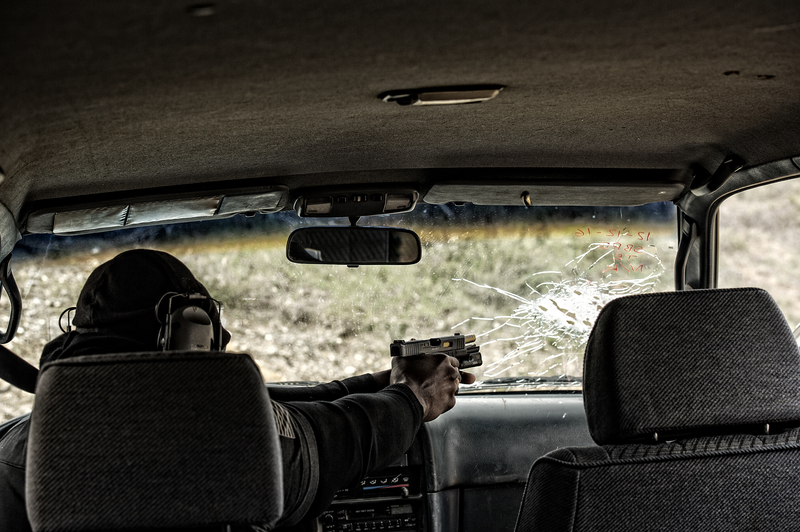 One thing that is important to understand about gunfights around vehicles is the difference between cover and concealment. A cover is a component on the battlefield you can use to stop bullets from hitting you, something you can actually hide behind that will physically protect you from incoming fire. Concealment is something that simply stops the enemy from seeing you and in that way protects you from them placing accurate rounds on you. For example, doors are not actually considered cover because bullets can travel right through them. Doors make decent concealment in some cases but even then it is still very obvious to see if someone is hiding behind a car door because you can see their feet and other parts of their body. The old-school image of a police officer using his door for cover is simply not what you would want to do fighting around a vehicle that is not designed to stop bullets. In many cases, if your vehicle is disabled it seems like the best thing to do is to get out of the vehicle as quickly as possible and use certain features of the vehicle as covers such as the engine block, the tires and other very dense portions of the vehicle. 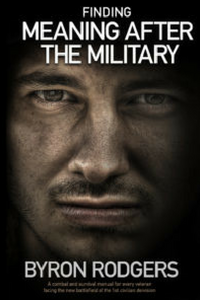 Most of the footage here is from Aaron Barruga of guerrilla approach (https://guerrillaapproach.com). I attended his one-day vehicle and pistol dynamics class and it was well worth my time and dollar. The tactics were practical and efficient. The labs he and his staff performed to teach us about ballistics and vehicles were very informative and his trainers were also very knowledgeable. I went away from that course with a new base of knowledge concerning firefights in and around vehicles, which is exactly what I paid for. I look forward to taking another course from him again hopefully in the near future. I also look forward to generating more content for all the other things I’ve learned from them.